It’s pure logic that we Malaysians might be strongly integrated (although we still have racism practiced overall in Malaysia) and proudly utter that we are 1Malaysia and associated with other common unity phrases, but deep within ourselves, we are very much attached and glued to our very own religion and religious beliefs. I call this “emotional religious freak” in my very own words. I am very happy to see that the Malaysian government was swift in taking actions against these Alvivi couples for their religious stained remarks. I was even astonished with the public statement given out by some politician that stern action will be taken against this couple for their brainless deed. I guess there is even one politician from Sabah who said that this Alvivi couples were associated with DAP and they are being funded by this political party. 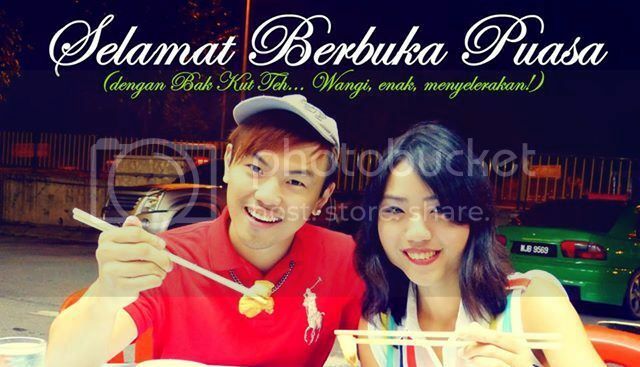 Well, the whole point for me to write this article today was to ask the same old Malaysian government who has taken such drastic action against this Alvivi couple for their Bak Kut Teh postings on what measures or even a single legal step that has been taken against Shah Kirit who insulted my religion? We had subtle proof via Youtube on what he has spoken about Indians and our religion during a talk. I don`t see any politician coming out with statements to further force the Malaysian authorities to ensure that Shah Kirit is made to face legal implications for his dim-witted comment on Indian religion? Why there is double standard on such incident? I am not being racist here but I just do not get the logic of letting the scoundrel Shah Kirit to go free while he distressed the religious emotions of Malaysia`s third largest community, the Indians. Where the ministers and politicians of Malaysian government have then has gone? I wonder if for these politicians, the government positions were far more important compared to someone who has zero knowledge about Indian religion insulted it to the utmost limit. Where has been the “so called vocal” 9 Indian political parties from ruling government and the remaining Indian based parties from the opposition political parties have gone? If this was the only case happened in Malaysia regarding our Indian religion, I would have been just quiet and assume that Malaysia government was busy “tackling” other issues rather than this petty issue but yet the cradle started to rock again by more morons issuing sensitive statement about Indian religion in Malaysia by the 2 fanatical individuals namely Ridhuan Tee Abdullah & Zulkifli Noordin. These 2 fellow irrational living things were again not taken any kind of legal nor being warned by any leading Indian political leaders in this country. This against proved that the 1Malaysian slogan is only a pure lip service rather than how it has been applauded and spoken increasingly by our fellow Malaysian Prime Minister. I would like to challenge and dare the current Malaysian Home Minister to take similar action taken against the Alvivi couple towards Shah Kirit, Ridhuan Tee Abdullah and Zulkifli Noordin for their disgraceful and shameful remark / statement made about Indian religion which has deeply troubled our Indians and their religious sentiments. Will my voice for the fellow Malaysian Indians would be made heard to the Prime Minister of Malaysia who believe on me as one of his 1Malaysia community or will I be accused of going rebellious and as a national threat to the Malaysian government for expressing my views. Let`s keep the fingers crossed! Good one macha. But this is BolehLand. The ‘Boleh’ part involves anything that favours the Muslim majority and the suppression of minority. Also, you forgot Ibrahim Ali publicly made an announcement to burn the Bible in a school compound. If the tables were turned and Quran is replaced in the situation…all hell will break loose. Now I don’t want any idiot to test out this hypothesis since we already know the answer. Why pour oil to fire? If YeMaiSi Birjaya pun tunduk kepala takde saman officially all the aforementioned goons…kita yang kat sideline sapa nak kandukaran? cow head issue in shah alam. ALL OF THEM SHOULD BE SENT TO PRISON, NO?